If you're resistant to buying something by "Melt Banana Lite" as opposed to plain old Melt Banana, take heart from the knowledge that this is still the same band you love, it's just that they've left their guitars at home and brought samplers and synths to the venue instead. The rampaging introductory piece 'Feedback Deficiency' blurts out unpleasant strands of noise for a while before a frenzy of drumming and chaotic oscillations get something approaching a 'groove' going. It's not long before a cybernatically overhauled Yasuko Onuki pipes up, and you're in the midst of music that's every bit as relentless and impossibly energetic as just about anything Melt Banana have concocted in their past. Thankfully, regardless of the instrumental rejigging, the band are still nailing that spluttering, break-neck metal staccato that's previously served them so well, except this time around there's a side-dish of Boredoms-style electronic noodling and freeform noise. Typically, it all whizzes by as a joyful blur, and before you've even so much as settled into your headphones you'll be at track six. 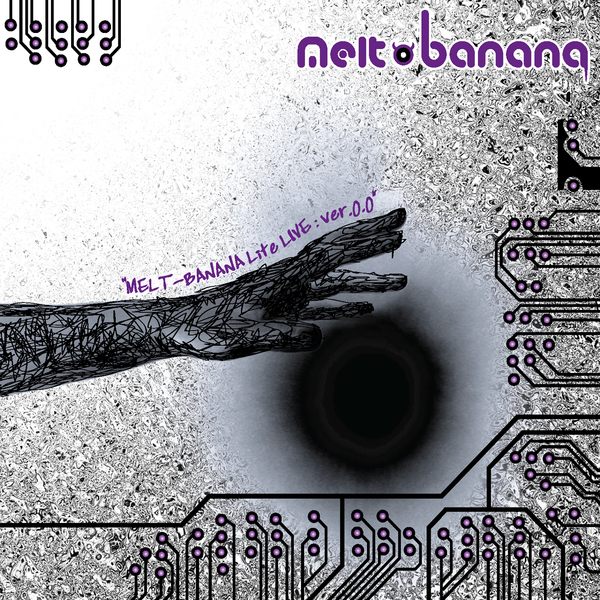 To paraphrase Samuel Johnson (I'm pretty sure this is how it goes): when you're tired of Melt Banana, you're tired of life.